Return flights from the UK, Germany or France to exotic Andaman Islands £457 / €510! Top ranked Emirates also recently awarded as airline of the year 2016, are running new promotional sale 2019. Those of you that are looking for excellent service for affordable fare you may consider their latest offers. We have picked few booking samples this time when flying from main airports in UK (London, Manchester, Birmingham, Glasgow, Newcastle)..Emirates with its HQ in Dubai belong to one mof the most respectful airlines in the industry. They are also ranked among safetiest carriers in the world. Below we have listed some of an interesting solution from Europe to various destinations accross the globe operated by Emirates…The most interesting deals seems to be to Philippines (Cebu, Angeles, Manila). Bali, India, New Zealand, Bangkok, Singapore, Sri Lanka or Kuala Lumpur. This current promotional sale with Emirates is valid for bookings made till 5th of February 2019. (exclusions apply). Travel dates vary by each destination but in most of cases they are valid from now till 13th of December 2019 then 10th to 31st of January 2020. Blackout period apply. This Emirates promotional sale is valid for destinations in Middle East, Africa, Asia and Australia & Oceania. Emirates are presented at most of European markets. Consider to use their service when departing from UK, Ireland, Germany, Benelux, France, Spain, Italy, Scandinavia and more.. If you will book your flight from the UK directly with the airline you can also further discount your flight using this Emirates promotion code. Some interesting offers listed below. 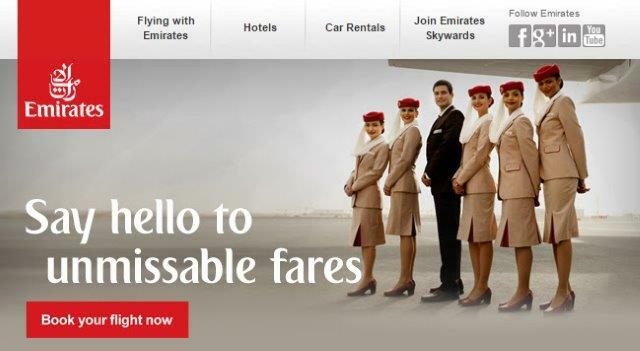 Fares are based on direct booking with Emirates. Booking via various OTAs offer even cheaper solution. Emirates were established in 1985. From its hub in Dubai they are connecting more than 140 cities worldwidely. 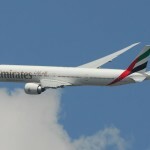 Consider to use they service to destinations such as New York Maldives Thailand Australia and more.. Emirates wer voted “Airline of the Year” in 2013 and 2016. (by Skytrax). With this latest Emirates promotional sale 2019 you can ensure that you will be treated with luxurious service not just on board..
Booking sample of Emirates promo sale 2019 get up to 30% discount on selected flights! In this case you would depart from London to Colombo on 19th of February 2018. Your return flight from South East Asia back to Europe would be on 5th of March 2018.